An accomplished clarinetist and singer, baritone Steven Bélanger is a graduate of Queen’s University (BMus, BA) and McGill University (MMus). He has performed with ensembles of all sizes and genres across Canada including the Studio de musique ancienne de Montréal (SMAM), Les Violons du Roy and La Chapelle de Québec, Opéra de Montréal, VivaVoce, the Elmer Iseler Singers, the Canadian Chamber Choir and Arion Baroque Orchestra. He has appeared as soloist with the Orchestre symphonique de Montréal (OSM), the McGill Baroque Orchestra, Voix Libres, Le Choeur du Vieux-Montreal, Les Grands Ballets canadiens de Montréal, the Kingston Symphony Orchestra, the Queen’s University Symphony Orchestra, the Quinte Symphony, the Grand River Chorus, Opera After Hours, the Victoria Baroque Players and the Prince George Symphony Orchestra. Steven has appeared at music festivals across North America including the Montreal Baroque Festival, the Festival international de Lanaudière, the Montreal/New Music International Festival, Festival Vancouver, the Lamèque International Baroque Music Festival in New Brunswick and the Festival Internacional Cervantino in Mexico. He has participated in over a dozen recordings for such labels as Decca, ATMA, Naxos, Centrediscs and Grouse Records, and has recorded music for radio, television and the Cirque du Soleil. Locally, Steven has performed as both soloist and ensemble singer with the Vancouver Chamber Choir, Early Music Vancouver, the Vancouver Cantata Singers, the Erato Ensemble, SummerChor, Laudate Singers and Stellaria. Recent engagements include the title role in Dido and Aeneas with Players & Singers and the first public workshop of Lloyd Burritt’s new opera, The Art of Camouflage, based on the memoir of Canadian writer Betsy Warland. Steven is currently the General Manager of the Vancouver Chamber Choir and is a featured artist on their newest recording of the music of Canadian composer R. Murray Schafer entitled The Love that Moves the Universe. At the age of sixteen, Robyn Driedger-Klassen discovered that singing came more naturally than her attempts on the piano at Bach Preludes and Fugues. She won a few competitions in those early days and after a few years of dilly-dallying in other university programs, she decided that music was the only career for her so, she undertook the voice performance program at UBC with vigour. Robyn has done lots of performing in lots of places. She loves the costumes and grandeur of opera and adores the personal and intimate side of recitals. Several years ago, Robyn was hired by the Turning Point Ensemble to do a work for voice and ensemble by R Murray Schafer entitled Arcana. Faced with singing Egyptian hieroglyphs, Robyn found herself first at a complete loss, but soon fully enjoyed unravelling the mysteries found on the page. Schafer witnessed her successful performance and since then, Robyn has thrown herself whole-heartedly into performance of contemporary vocal repertoire. Some of her favourites have been: a fully-staged performance of Libby Larsen’s Try Me Good King, the final words and letters of the wives of Henry VIII; Kaaija Saariaho’s Lonh, for soprano and electronics that make lovely bird sounds; Jake Heggie’s At the Statue of Venus, a woman’s inner monologue as she waits for a blind date; Brian Current’s Inventory, a complicated piece about a woman’s relationship with shoes; David McIntyre’s On the Road to Moose Jaw, a soaring song about a prairie drive; Leslie Uyeda’s White Cat Blues, a set of songs written for her with poems by Lorna Crozier; and Perruqueries, a commissioned set of songs about wigs from the weird and wonderful minds of Jocelyn Morlock and Bill Richardson. This is an exciting time to be working with North American composers and Robyn is thrilled to make their songs come alive. However, she will always make time to sing Mozart, Schubert or Richard Strauss! Robyn is on the core faculty of the Vancouver International Song Institute, and is also pleasantly surprised to find herself Head of Voice at the Vancouver Academy of Music. Robyn loves books, geraniums, hikes, canoes, cups of tea and a clean house. Robyn lives with her husband and two vocal critics under the age of five. She can bake a wicked loaf of bread and in recent times, has learned a considerable amount about monster trucks, fast cars and dinosaurs. It’s our absolute pleasure to welcome back Corey Hamm for his sixth time at Art Song Lab. An incredible pianist, and passionate advocate for new music, Corey is also a delight to work with. Apply today for your chance to write for Corey. Pianist Corey Hamm is establishing a unique musical profile performing widely in North America and in Asia as both soloist and chamber musician. His CD of Frederic Rzewski’s hour-long solo piano epic The People United Will Never Be Defeated! (Redshift Records) won Spotify's Best Classical Recording 2014, and Best Classical Recording at the 2014 Western Canadian Music Awards. He has performed the work over 80 times and many more performances are to come in 2018, the year of Rzewski’s 80th Birthday. Corey Hamm’s extensive work in the 1990s with the great French composer Henri Dutilleux will come to fruition in his plan to record Dutilleux’s complete works for solo piano and chamber with piano in the near future. Among his other recording plans is a soon-to-be-released CD of solo works written for him by Keith Hamel, Jocelyn Morlock, Jordan Nobles, Dorothy Chang, and Scott Godin, a CD with Nu:BC, and two more CDs with PEP (Piano and Erhu Project). He recently performed two works on Jocelyn Morlock’s CD, on Redshift Records. Corey Hamm has commissioned, premiered and recorded over three hundred works by composers from all over the world. These commissions have been for solo piano, various chamber music formations as well as concerti. His most extensive collection of commissioned works includes over 70 pieces for PEP (Piano and Erhu Project) with whom he has toured China. To date the composers for the project come from China, Canada, UK, and the United States, and include Michael Finnissy, GAO Ping, Brian Cherney. The result is a new and flourishing catalogue of works for piano and erhu composed in the musical languages of the 21st century. This combination of instruments bringing together two of the world’s great musical traditions, now has a unique collection of works for Nicole Ge Li and Corey Hamm to draw from for audiences of the 21st century. They have released some of these works on their PEP CDs, Vols. 1 and 2 (Redshift TK437 and 440). Volume 2 was nominated for Best Classical Recording at the 2015 Western Canadian Music Awards. Volumes 3, 4 & 5 are in preparation for release in 2019. He has also commissioned over 50 works for The Nu:BC Collective and for Hammerhead Consort (two piano and two percussion). As pianist for The Nu:BC Collective he has released the critically acclaimed CD Beyond Shadows (Redshift TK432). As a founding member of Hammerhead Consort, he received the 1993 Sir Ernest Macmillan Memorial Foundation Chamber Music Award, and was winner of the 1992 National Chamber Music Competition. Corey Hamm premiered Dorothy Chang’s new PEP Double Concerto for erhu and piano soloists, Gateways, with the Vancouver Symphony Orchestra (VSO) in Apr. 2018, and was soloist in the World Premiere of Jordan Nobles’ Piano Concerto with Bramwell Tovey and the VSO. He gave the World Premiere of Howard Bashaw's Concerto for Two Pianos and Percussion with conductor Grzegorz Nowak and the Edmonton Symphony Orchestra, and has recent and upcoming performances of Prokofiev’s Piano Concerto 3, Prokofiev Piano Concerto 2, Bartok’s Piano Concerto 2, Lutoslawski’s Piano Concerto, Ravel’s Piano Concerto for the Left Hand, Faure’s Fantasie Op. 111, and Gershwin’s Rhapsody in Blue. Dr. Hamm is Professor of Piano at the University of British Columbia in Vancouver, where he was awarded the prestigious Killam Teaching Award. 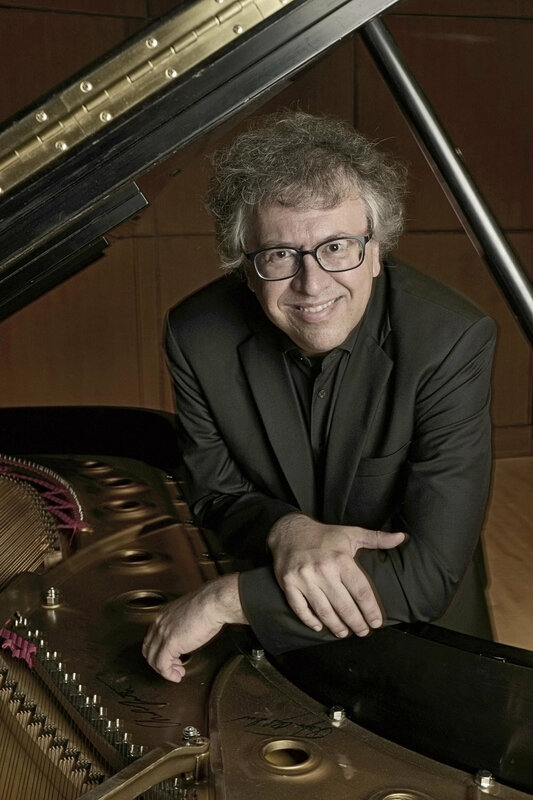 He is on the Piano Faculty of both the Summer Institute for Contemporary Performance Practice (SICPP) at NEC in Boston, and MusicFest Perugia, in Italy. His beloved teachers include Lydia Artymiw, Marek Jablonski, Stéphane Lemelin, Ernesto Lejano, and Thelma Johannes O'Neill. Described as “a force of nature” (Toronto Star) and “an actress of immense talent” (Opera Canada), contralto Lynne McMurtry is happiest when rehearsing powerful words set to evocative music, which is why she loves Art Song Lab. Recent opera performances include Mistress Quickly in Verdi’s Falstaff with Calgary Opera and Marcellina in Le Nozze di Figaro with Opera Lyra. In the concert realm she dreams of singing more of Das Lied von der Erde (Mahler) and the Alto Rhapsody by Brahms, both of which she performed with orchestra recently. 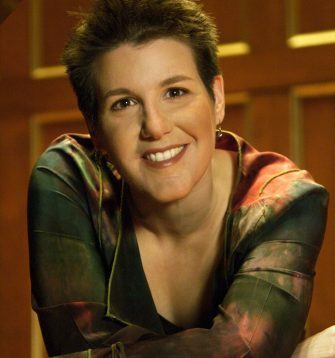 She teaches at the State University of New York College at Fredonia and is a Founding Faculty Artist of the Vancouver International Song Institute. If you love the piano, new music, collaborative music making, or amazing people, then you are going to LOVE Rachel Iwaasa! We're thrilled to have Rachel coming back this year for #ASL2019. Apply today for your chance to work with a sublime pianistic artisan! Hailed in the press as a "keyboard virtuoso and avant-garde muse" (Georgia Straight) with the “emotional intensity” to take a piece “from notes on a page to a stunning work of art” (Victoria Times Colonist), pianist Rachel Kiyo Iwaasa has performed as soloist and chamber musician in Canada, the United States, the Netherlands and Germany. Known for bold and innovative concerts, Rachel combines her warmth and curiosity to touch the hearts and minds of audiences, whether she is playing Beethoven and Schumann or Ligeti and Saariaho. One half of the flute/piano duo Tiresias with Mark McGregor, Rachel has also performed with Yannick Nézet-Séguin, Judith Forst, Pulitzer Prize-winning composer Caroline Shaw and Richard Reed Parry of Arcade Fire. Rachel has appeared for Muziekweek Gaudeamus, Music TORONTO, Vancouver New Music, Music on Main, Redshift, the Western Front, the Victoria Symphony, the Aventa Ensemble (Victoria), CONTACT contemporary music (Toronto), New Works Calgary, Groundswell New Music (Winnipeg), and Vancouver Pro Musica. Rachel has a shameless passion for contemporary music, and has performed numerous premières, including pieces written especially for her by Rodney Sharman, Jeffrey Ryan, Jocelyn Morlock, Emily Doolittle, Alexander Pechenyuk, and many other Canadian composers. Rachel’s debut solo CD, Cosmophony, piano music inspired by the cosmos, was released in 2010 on Redshift Records. Praised by the Vancouver Sun as “brilliant” and “unforgettable” and nominated for a Western Canadian Music Award, Cosmophony features the Canadian premiere recording of George Crumb’s Makrokosmos, Volume II and no less than nine commissioned works by Canadian composers. Rachel is one half of the flute/piano duo Tiresias with Mark McGregor. Their debut CD, Delicate Fires, was nominated for a 2008 Western Canadian Music Award. Delicate Fires was produced with the generous assistance of the Barbara Pentland fund, and features the first commercially released recordings of her Sonata Fantasy for solo piano and Trance for flute and piano. It also presents the premiere recordings of works commissioned by Tiresias from Canadian composers Rodney Sharman, Jennifer Butler, and Jocelyn Morlock. Tiresias’s sophomore recording was double CD released in 2013: Trade Winds, showcasing the works of BC composers Jean Coulthard, Paul Douglas and Christopher Kovarik, paired with Halos of the Moon, exploring Japanese-Canadian hybridity in music with works by Toru Takemitsu, Jo Kondo, Eliot Weisgarber, Anthony Genge, Derek Charke, Hiroki Tsuromoto and Kara Gibbs. Rachel’s major teachers were Jane Coop, Menahem Pressler, and Robin Wood. She holds a Doctor of Musical Arts from the University of British Columbia, a Master of Music from Indiana University, and a Bachelor of Music from the University of Victoria, where she earned the Victoria Medal as the top graduating student in Fine Arts. She was also a two-time recipient of the prestigious Annual Grant from the Deutscher Akademischer Austauschdienst (DAAD) for graduate studies at the Hochschule für Musik "Hanns Eisler" Berlin. Other awards include numerous grants from the Canada Council, the BC Arts Council, the Alberta Foundation for the Arts, and the Alberta Heritage Foundation. Rachel is a founder of the Queer Arts Festival, regarded as one of the top 5 festivals of its kind worldwide.